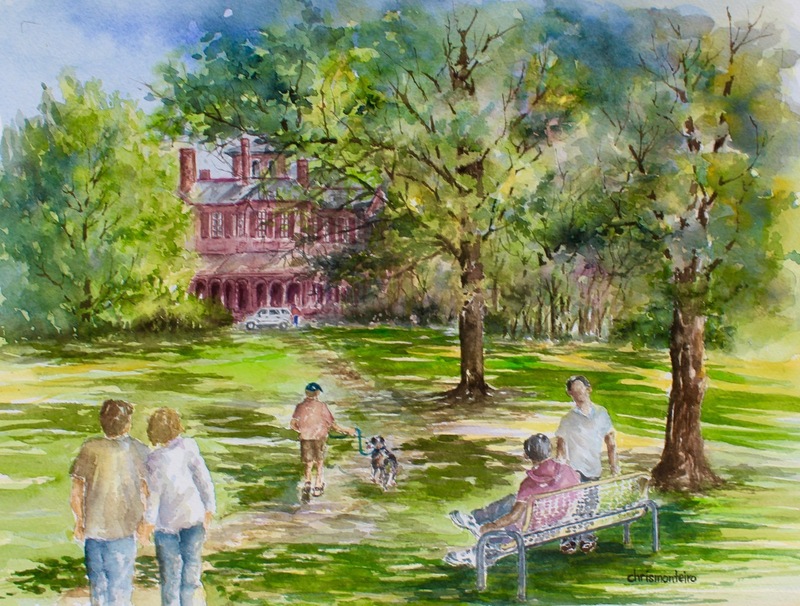 Saturday, July 7, 12:30 – Tour of Cadwalader Park, with David Bosted – Olmsted’s plan for the park included the species of trees and shrubs to be planted. Trustee David Bosted will discuss the masterful arrangement of plantings in the park so that vistas are closed and then revealed. Meet at Ellarslie. Participants should be capable of walking for one hour and should wear comfortable, durable walking shoes. Fee $5, Members $3. Pay at the Door. Designer of Cadwalader Park, Frederick Law Olmsted (FLO) is widely known as the Father of Landscape Architecture in America. Olmsted believed that the public realm should be a respite; a place to retreat from the stress of urban life, and that public open space should be accessible to all people. By the time FLO began to design Cadwalader Park in 1890, he had been planning parks in this country’s leading cities for over 30 years. Cadwalader Park in Trenton is Olmsted’s last great urban park design. Cadwalader Park is also notable as the only park in New Jersey personally designed by Frederick Law Olmsted. Nearby Lawrenceville School is Olmsted’s most successful campus design. David Bosted has lectured on Olmsted in many venues since his first lecture on the topic at Ramapo College in 1975. He designed and acquired land for a park system for Martha’s Vineyard Island as Director of the Martha’s Vineyard Land Bank in the mid-1980s. Locally, David Bosted served four terms as President of the Island Civic Association in Trenton and twelve years as a member of the Trenton City Zoning Board of Adjustment, including serving as Chairman of the Board. Currently he is a Trustee of the Trenton Museum Society and Chairman of the Lawrence Township Shade Tree Advisory Committee. He is a retired attorney who served as a State Deputy Attorney General in New Jersey. He has a master’s degree in urban planning from Rutgers University.